I couldn’t agree more! 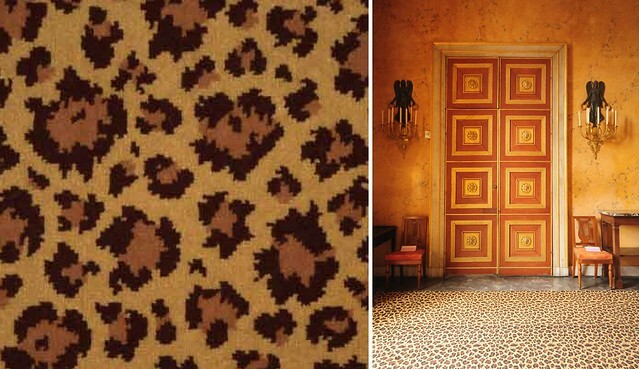 I'm in the midst of reading The World of Madeleine Castaing and have decided that in 2011 I'm going to take note from the great French decorator and say yes to animal print! 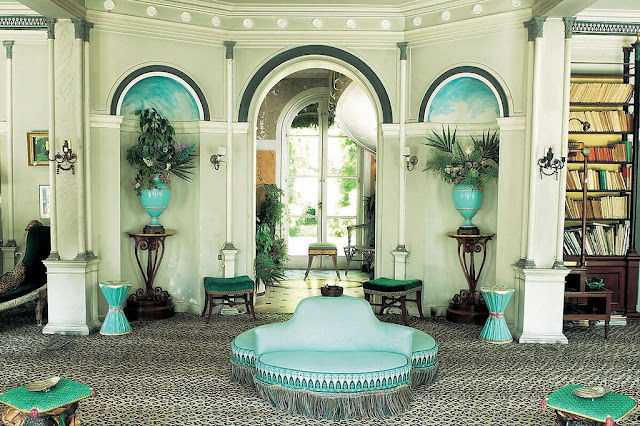 For Maison de Lèves, her dreamy Directoire-style country house, pictured above, Castaing selected an exquisite palette of turquoise, black, white, deep red and leopard! 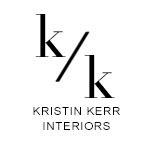 In theory, leopard print wall-to-wall carpet might seem overpowering, but its small scale and restrained palette make for a surprisingly understated element. And the best part - It's as practical as it is pretty! According to the author, Castaing used leopard print carpet throughout the house because it was good for disguising muddy footprints. Castaing greatly admired the taste of Napoleon's consort Josephine. Napoleon and Josephine lived at Château de Compiègne and each had their own apartment which were renovated and furnished between 1807-1809. 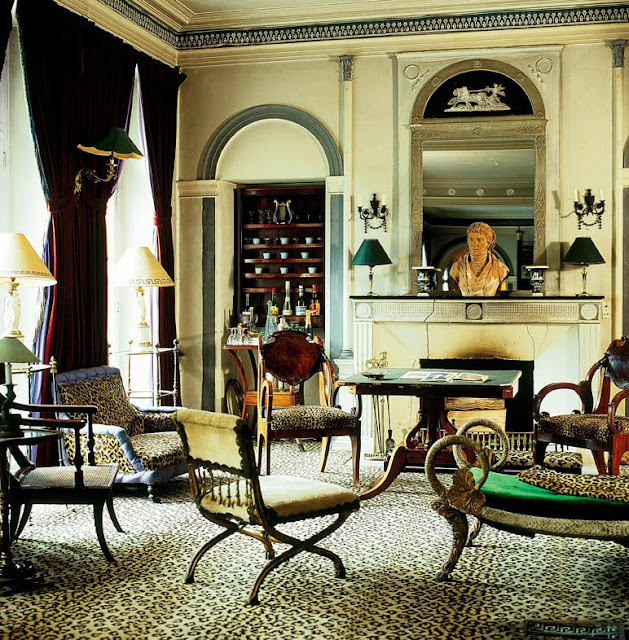 The leopard carpet here, in empress Josephine's dining room, to my mind proves that leopard was, is and always will be timeless. Josephine's dining room served as inspiration for Madeleine's use of similar carpeting at Lèves and on her other projects. 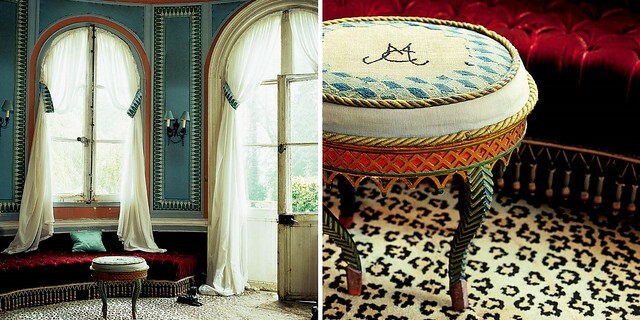 One of a pair of stools embroidered with Madeleine's initials, above, sits on top of Leopard carpet in the Salon de la Rontonda. Another view of the salon at Lèves, which Madeleine redecorated with a fabulous leopard carpet and her signature turquoise- such beautiful contrast!